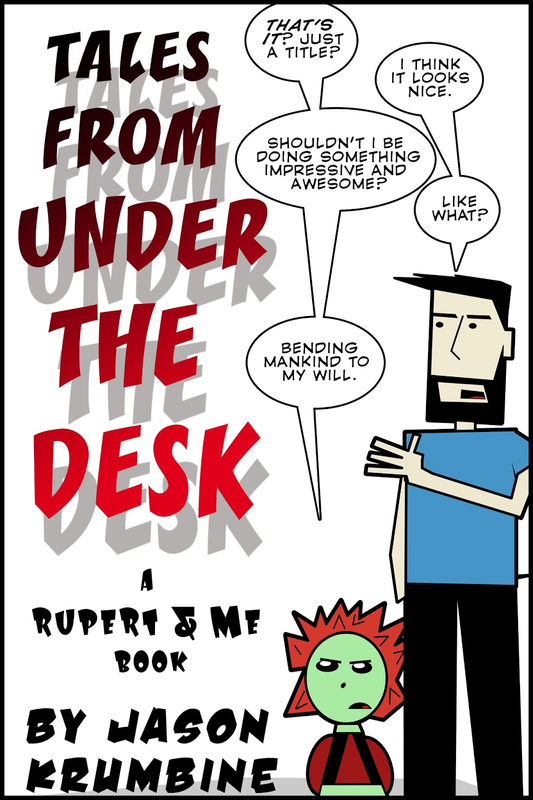 For those who may not know, a few years back I wrote and drew a webcomic called, "Rupert & Me." It was one my favorite projects. Unfortunately, the realities of producing a daily comic (Mon-Fri) meant that I produced nothing else. 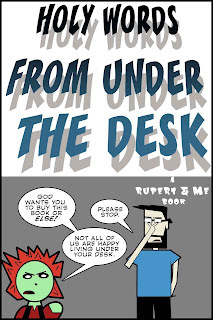 So during the year that I made Rupert & Me, my novels got pushed to the side. When it became clear that I wasn't growing enough of an audience through the webcomic, I decided to discontinue it. 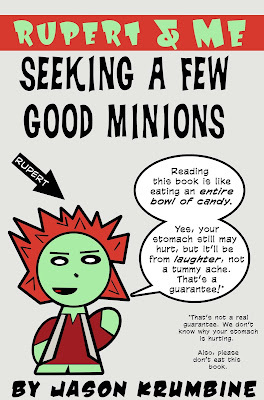 But it was another time consuming project as I wanted to make sure the strips were as best as possible (resulting in redrawing everything) and no other collections were released. 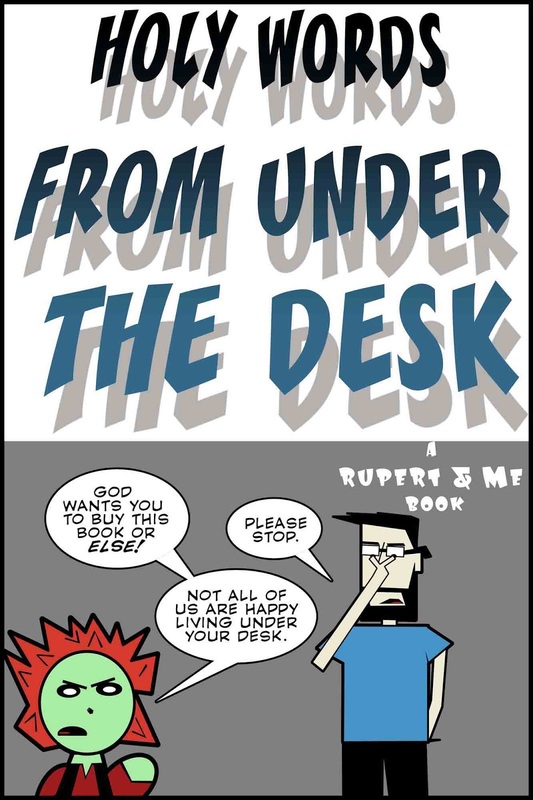 Rupert, though, has never been far from my mind. In the later half of 2012 I had the good fortune to spend a lot of time with my nieces before my wife and I moved to NYC, and discovered an author by the name of Mo Willems(author of the picture book series "The Pigeon" and "Elephant and Piggie.") Watching my 6 year old niece read these deceptively simple picture books, I was struck with an idea. These were picture books with simple illustrations and, many cases, the characters actually spoke to the reader, carrying on a conversation with them. The heart of these books wasn't about teaching lessons, but entertaining the children. I realized that it was a perfect medium for Rupert. Plus, it was a style that I could maintain, without it consuming all of my time and pushing my other projects to the side. Granted, Rupert has not always been kid-friendly. In fact, if you're a parent, I would recommend that you read the two Rupert & Me collections listed above before letting your younger children read them. And he needs your help to achieve his dream. All he really wants to do is rule the world. That isn't so bad, right? Rupert & Me: Seeking a Few Good Minions is an interactive read in the style of such books as Mo Willems' Pigeon series. It's filled with humor for children and adults alike, which means it's the perfect read for kids who like to have books read to them over and over again! This is a full color, fully illustrated book. It is compatible with all Kindle models, but on the Fire and Kindle Apps on tablets such as the iPad, the book will appear in full color. I really enjoyed working on this book. My dream world, I think, would be one where I work on nothing but Rupert, Alex Cheradon and the Castle Sisters. I know that the market for children's books and children's picture books in the ebook world is very small. I'm sure that's going to change over the next 5-10 years. But that's still 5-10 years away. I want this book to succeed now. I think it has that potential. 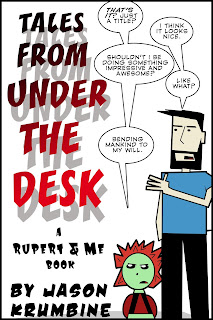 I'm looking into the possibility of running a Kickstarter to fund the printing of what would be 4 Rupert & Me books. But I'm not sure that I have the audience or the audience interest in something like that. So, for now, I'm doing what I know I can do: releasing the book digitally. I think you'll enjoy Rupert. I think that if you have kids, they'll enjoy Rupert. I think that if you have kids that like being read to, you'll enjoying reading Rupert & Me to them. So get a copy and start enjoying it today.